The Swedish brewery St. Erik’s wanted to create something truly unique, that would complement the taste of their high-quality beer. 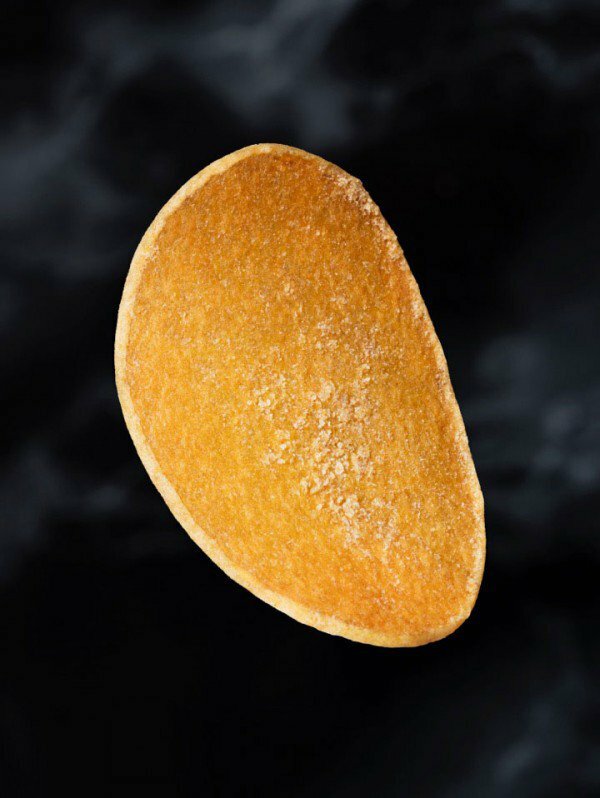 They ended up creating the most expensive potato chips in the world. 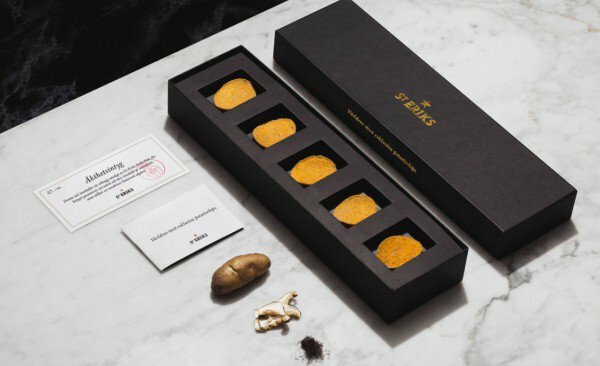 The ultra-luxury potato chips come in a stylish black box containing five individually placed chips. 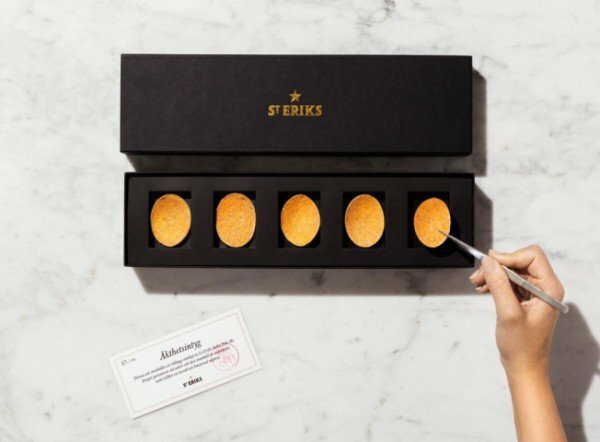 Each of these potato chips is handmade by a chef. 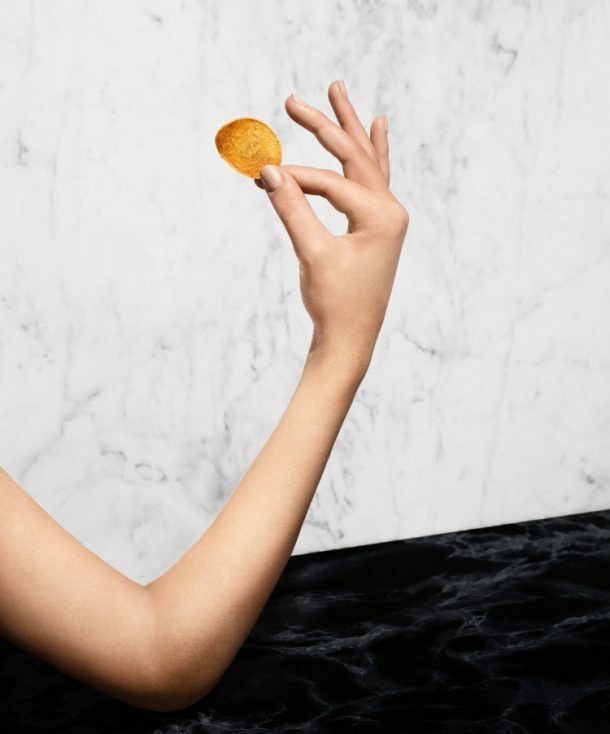 Five special Nordic ingredients were used to prepare these potato crisps by St. Erik’s including the Matsutake mushrooms that grow in the northern pine forests in Sweden, truffle seaweed collected from the Faroe Islands, Crown Dill picked from the Bjäre Peninsula, Leksand Onion from the Leksand, and India Pale Ale Wort. The India Pale Ale Wort is also used to make Pale Ale beer, a unique brew made by St. Erik’s. Even the potatoes used for making these chips are nothing short of special. A batch of 100 potato chip boxes by St. Erik’s was put up for sale last week. In spite of hanging a price tag of whopping $56, the boxes sold out instantly. Each $56 box contains five chips. Would you pay such a steep price for potato chips? Let us know in comments! This is totally insane and worst use of resources i have ever seen. So sad.